A bench headed by Chief Justice JS Khehar also comprising Justices Ranjan Gogoi and RK Agrawal directed that the Assembly session be called at 11 AM on March 16 and made it clear that the only business of the House would be the holding of floor test after swearing in of the members also all pre-requisites for holding the floor test be completed by tomorrow including the Election Commission related formalities. The court told Congress that instead of putting forth their arguments before the court, the party should have done so before the Governor. Over two years after he quit as Chief Minister of Goa to become the nation’s Defence Minister, Manohar Parrikar is set to take over the coastal state’s mantle again on Tuesday as the head of a BJP-led government. The decks were cleared for Parrikar to take oath as Goa Chief Minister with President Pranab Mukherjee on Monday accepting his resignation as Defence Minister and assigning additional charge of the ministry to Finance Minister Arun Jaitley. Under the leadership of Manohar Parrikar the BJP placed the number of 21 elected members to form the government. It also took on record a letter showing support of three members of MGP, three of GFP and two independents to BJP taking the party’s strength to 21 in the House of 40. Goa Congress unit had moved the SC against the Governor’s invite to appoint Parikkar as the CM. The former defence minister is expected to be sworn in as the CM in a ceremony later in the day. Supreme Court indicates holding an immediate floor test and not within 15 days as ordered by the governor. BJP’s Nitin Gadkari denies any horse-trading in Goa, says BJP discussed with non-BJP MLAs who had some conditions and that support was unanimous. “Congress was not able to choose a leader due to their internal tussle and they are blaming us for it,” he says. At 11.50 am today, Finance minister Arun Jaitley takes additional charge as defence minister. During the hearing, the bench said, “You (Congress) don’t have the numbers and that is why you did not claim to form government. You have not demonstrated before the Governor that the number is in your favour.” The court told the Congress that instead of putting forth their arguments before the court, the party should have done so before the governor. The bench also said that the pleadings of the Congress leader were not proper as they have not impleaded Manohar Parrikar, who has been invited to form the government, as a necessary party. 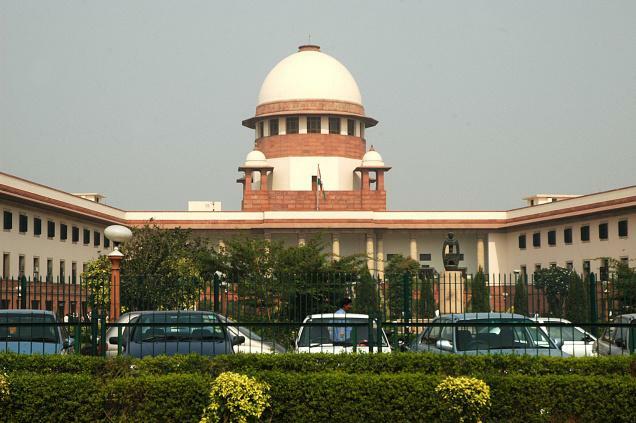 Supreme Court orders floor test on March 16 and refuses to stay today’s swearing-in ceremony of Manohar Parrikar. The bench refused the plea of Goa Congress Legislative Party (CLP) leader Chandrakant Kavlekar whose counsel and senior advocate Abhishek Mani Singhvi wanted a composite floor test before the oath taking of Parrikar as chief minister. The petition was filed on Monday evening by the CLP leader and it was mentioned at the residence of the CJI who had agreed to give an urgent hearing. A special bench was constituted as the apex court is on Holi break for a week. Besides staying Parrikar’s swearing-in, the petition has also sought quashing of the decision of the governor to appoint the BJP leader as the chief minister. The petition, filed by advocate Devdutt Kamath, has made the Centre and Goa as the parties. The Goa CLP leader has argued that the Congress emerged as the single largest party in the polls and under the constitutional convention, the Governor was bound to invite the single largest party to form the government and give it the opportunity to prove majority in the floor test.